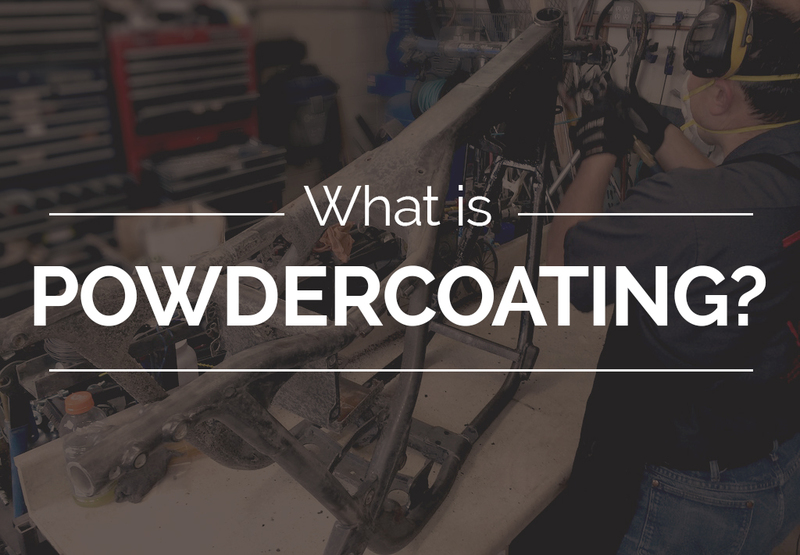 The powder coat process is a type of metal finishing that can replace traditional wet painting when superior performance is required. 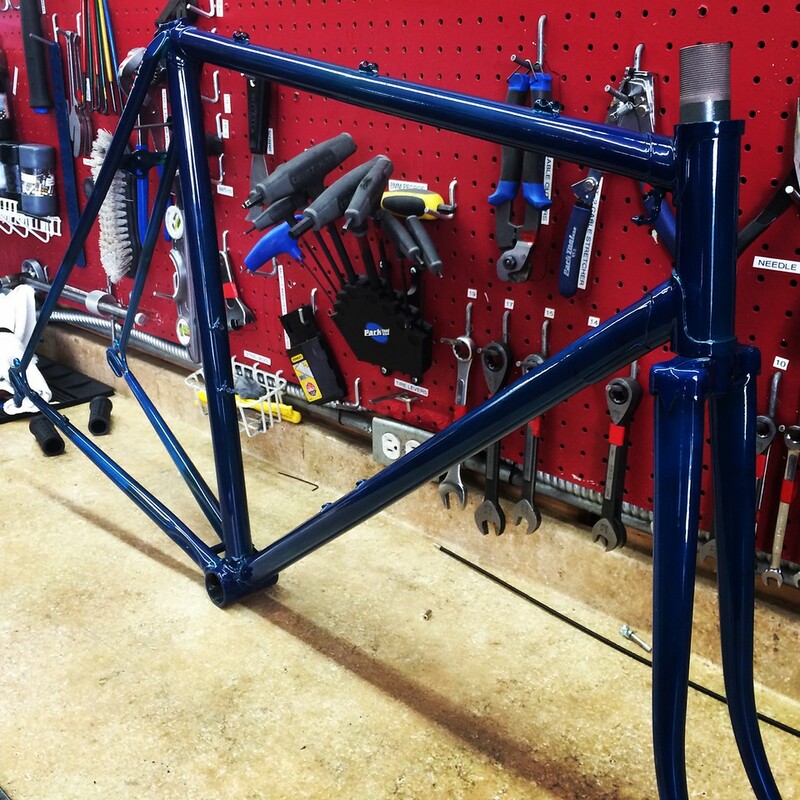 Powdercoating provides a more durable and flexible finish than traditional paint methods, which makes it perfect for bicycles, as well as other high-stress applications. 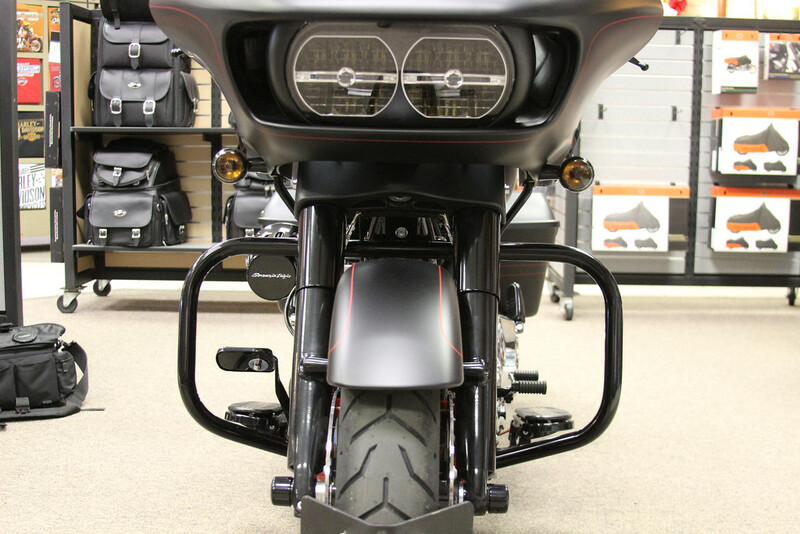 The powder coat process was pioneered in the 1950’s and has developed into a common and preferred process for the manufacturing industry and certain specialty groups (such as automotive, racing, and sporting goods). 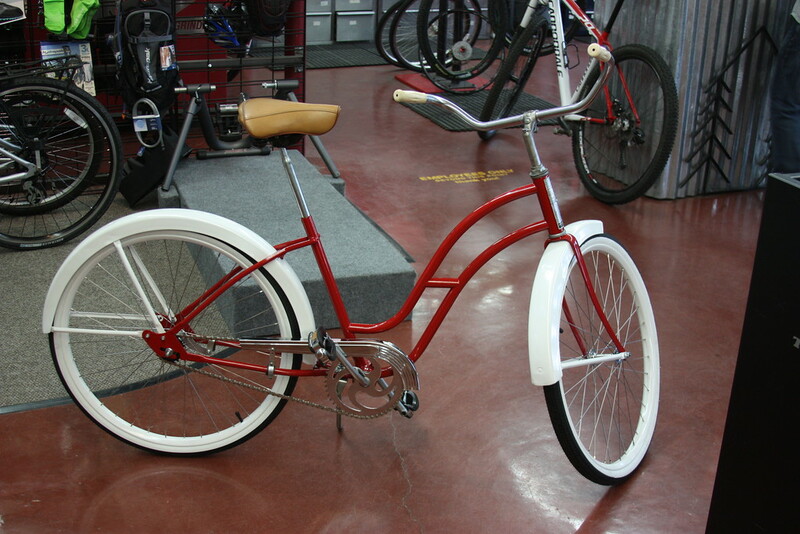 The powder coat process includes proper metal pretreatment, powder application, and high temperature powder curing. 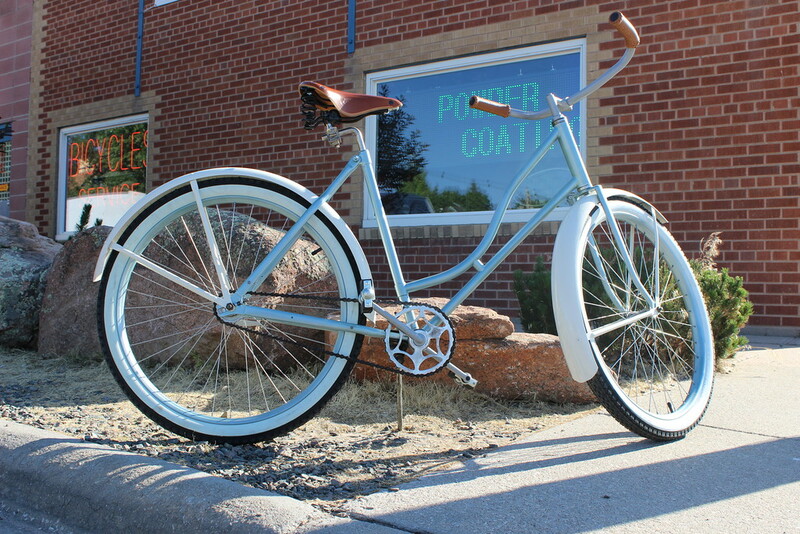 We'll powdercoat anything that fits! First, the pieces must undergo abrasive and/or chemical stripping in order to produce a surface finish optimized for coating. Best results are obtained when any rust or existing coatings are removed. 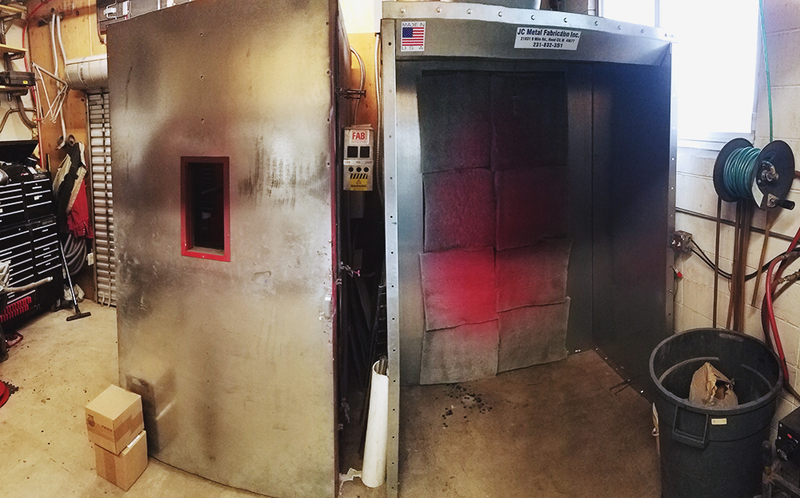 We primarily use our in-house industrial sandblaster for this step; we also offer sandblasting as a service of its own (call for quote). 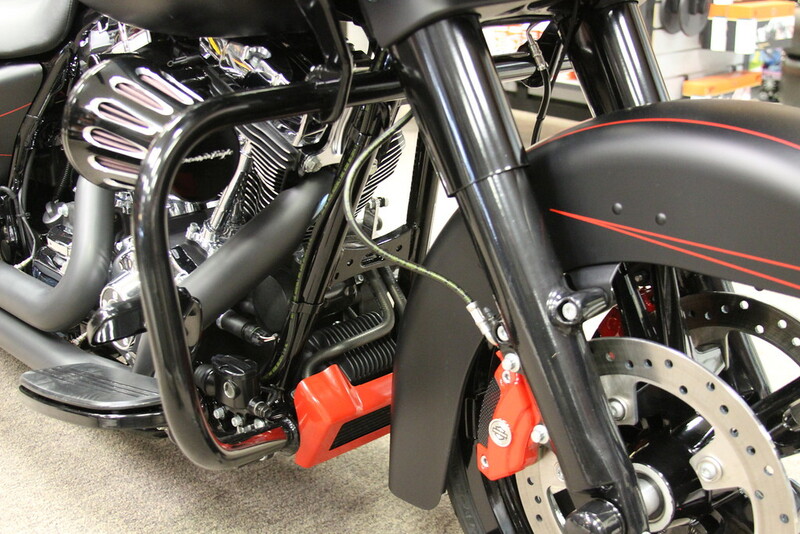 The powder coat process is best suited to all-metal parts, weldments, and assemblies. Plastic, rubber, wood, ceramic, glass, fabric, and similar non-metallics are typically not coated. Similarly, soldered parts may not withstand the curing temperature. Before powder application, parts are hung on portable racks. 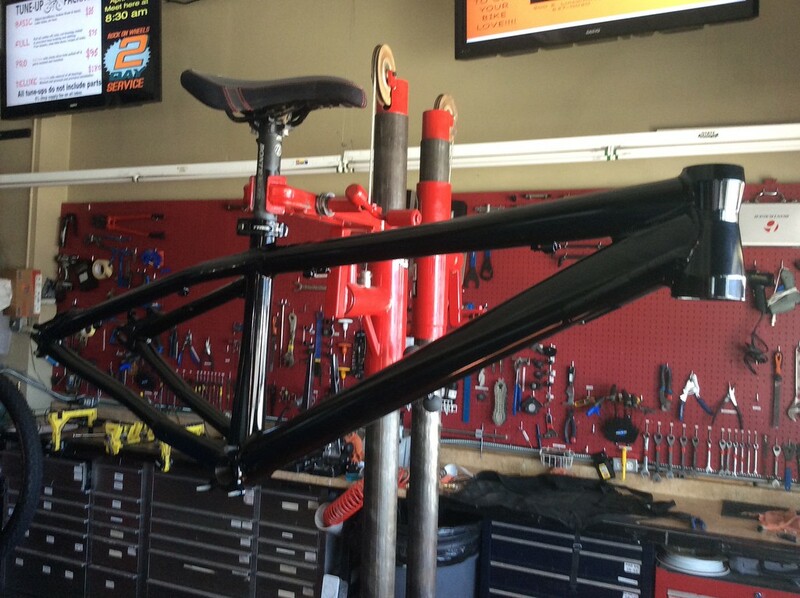 Hanging the parts ensures that the powder coat can be applied uniformly with no further handling or disturbances. Powder is applied in a clean containment booth to prevent contamination with dust or powders of other colors. Parts are electrically grounded, and the dry powder is then sprayed using a system which electrically charges the powder particles. The charged powder is attracted by, and attaches to the parts. After parts are coated with dry powder, the parts (on their racks) are moved into a curing oven. 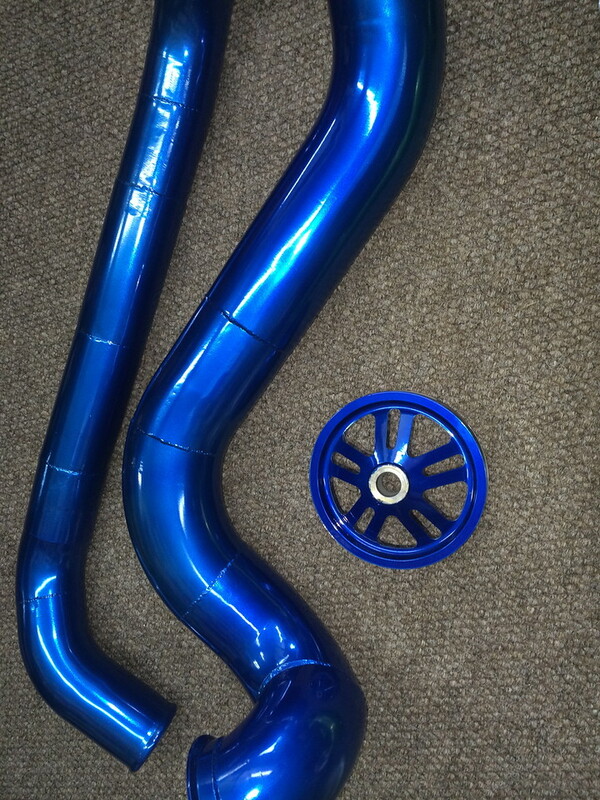 As the coated parts heat up, the powder gels and flows to produce the characteristic smooth powder coat finish. As decorative powder coatings reach their maximum curing temperature, a chemical reaction called cross-linking takes place. At this point the parts can be removed from the oven, cooled in ambient air, and be immediately put in service. 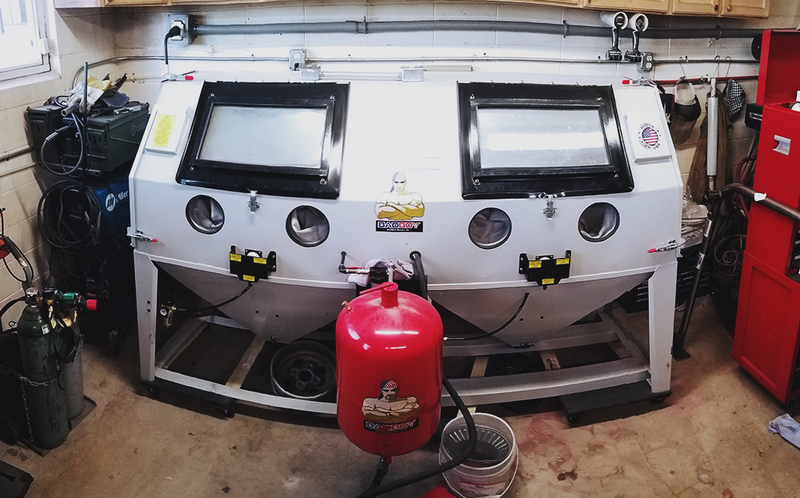 Every powder job is different, so give us a call or drop by the shop for a free price estimate, and to browse our extensive list of available colors and finishes.